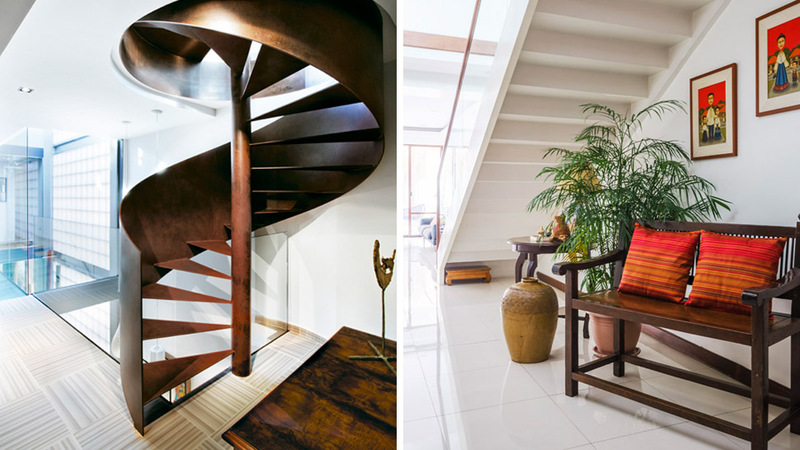 These staircase design ideas are not only beautiful; they take up less floor area, as well. 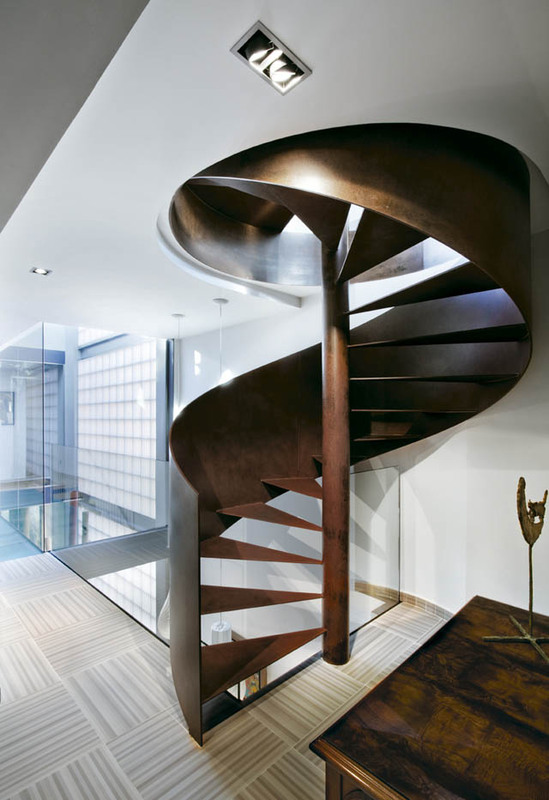 Staircases are important architectural elements in multi-storey houses. 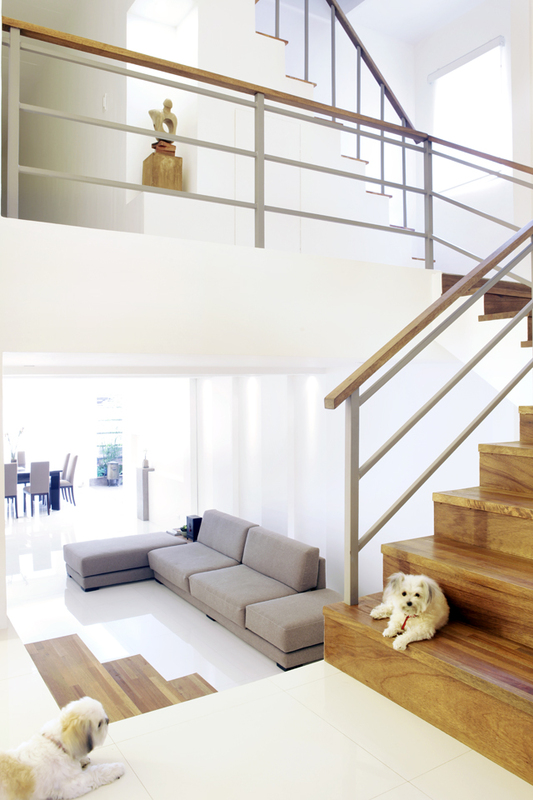 However, not all homes are blessed with a large floor area—but this doesn’t mean you can’t have a well-designed flight of stairs. The use of light paint colors, “lighter”-looking and transparent materials, and thin silhouettes can all minimize the visual heft of a staircase. See these ingenious examples below for more ideas and design pegs. 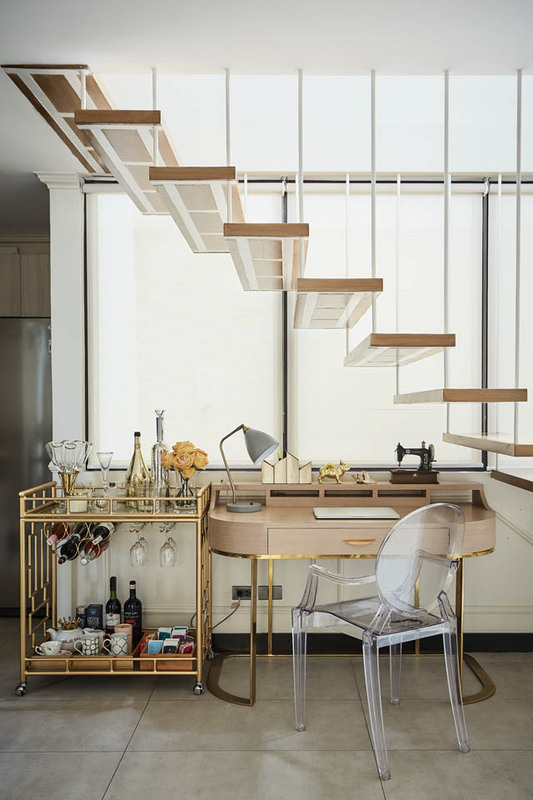 Interior designer Evangeline Lim retained the delicate staircase with wrought iron balustrade that seems suspended in space. This makes these stairs look lightweight, and less visually intrusive. The absence of stringers (the housing on either side of the stairs) allows the designer to add a small home office under the stairs. To see more of this home, click here. The use of clear glass makes staircases look lighter, and allows light to pass through from one space to the other. 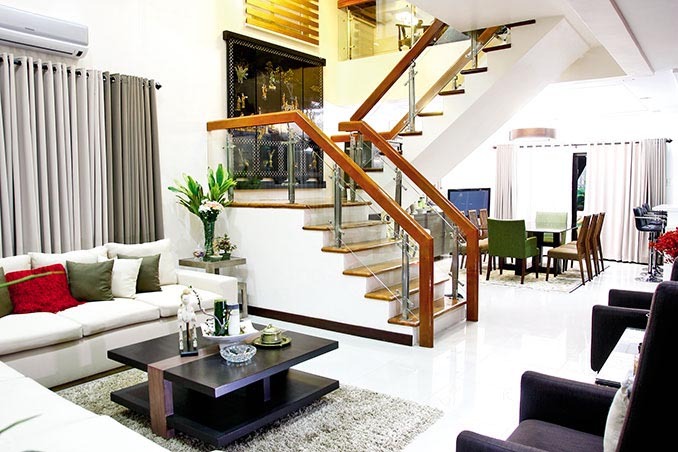 Doug and Cheska Kramer’s home has a staircase exactly like this, reinforced with chrome newels and a wooden handrail. In Rolando Sulit’s (DJ Joe D’Mango’s) home, horizontal balusters that are spaced widely apart give the illusion of a more expansive space. The use of minimalist furnishings also adds to this house’s airy, Zen-like feel. 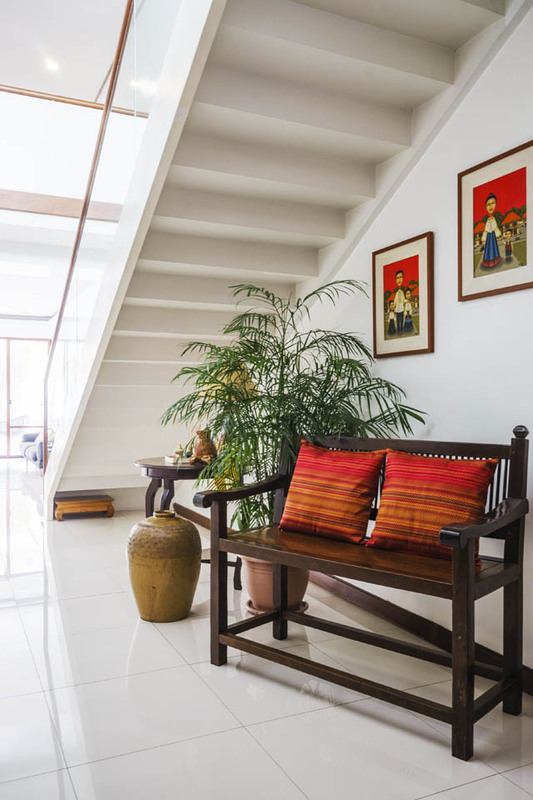 In the Abiad home, interior designer Nina Santamaria painted the stringer and the bottom of this staircase white, making the space more airy, as compared to leaving the wood in its natural finish. She added a gallinera bench to serve as a welcoming spot in the entryway.